NFF Aiteo Cup: NPFL Top Guns Handed Tricky Ties In Round Of 32 Draw – Royal Times of Nigeria. 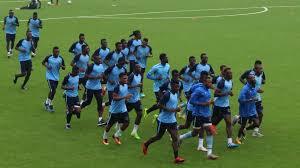 Nigeria Professional Football League big guns have been handed tricky opponents in the Round of 32 of the NFF Aiteo Federation Cup. The draw took place at the office of the Nigeria Football Federation in Abuja today. Holders Akwa United will face Bet9ja Nigeria National League side, Aklosendi of Lafia in one of the round of 32 games. 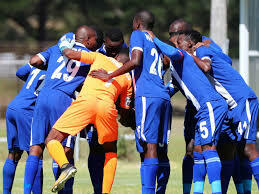 The Promise Keepers defeated non- league side, Hope of Glory 7-0 in the previous round. Former champions, Enyimba were also handed a tricky tie against another NNL outfit, Dynamite FC who have impressed in the competition in recent years. Kano Pillars and Sokoto United will clash in an all northern affair. NNL side edged out MFM FC in the round of 64. Non- League side, Confine FC responsible for the exit of the former champions, Heartland will up against Sunshine Stars, while Plateau United will take on Yobe Desert Stars. Rivers United will also have their works cut against Remo Stars Feeders who knocked out former champions, Rivers United out of the competition.